Samuel Thomas is a senior advisor at the Regulatory Assistance Project (RAP), an independent, non-partisan, non-governmental organisation dedicated to accelerating the transition to a clean, reliable, and efficient energy future. 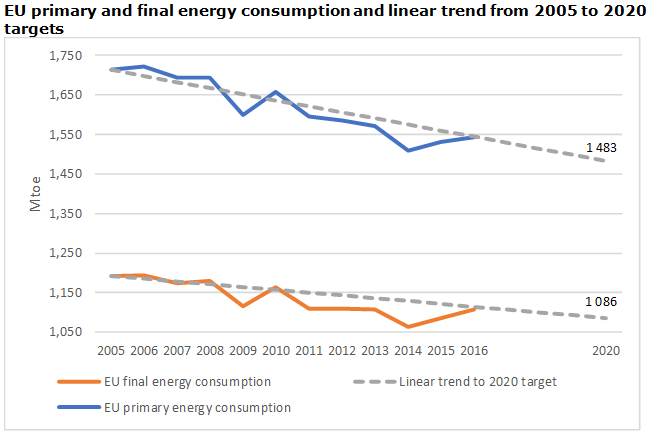 What does that mean for the EU’s 2020 energy efficiency targets? To meet them, final and primary energy consumption must fall by 0.5% and 1.0% per year, respectively, between 2016 (our latest data point) and 2020. However, over the two years prior to 2016, final energy consumption grew by more than 4% and primary energy consumption was up by more than 2%. Early indications suggest another increase in 2017. Make no mistake – it will not be easy. It will require more investment, both public and private, better evaluation, monitoring and verification, and policy innovation to overcome long-standing barriers to action. Thankfully, the current situation provides the perfect opportunity to act. We have the money, and there is plenty to learn from recent experiences in different countries. As EU carbon allowance prices rise, auction revenues from the EU emissions trading system are likely to top €10 billion per year by 2020. Investing those revenues in building efficiency makes sense for several reasons. Many EU member states are implementing new policy instruments, including energy efficiency obligations. If designed well, those instruments will drive extensive investment in building retrofits, which will in turn deliver a host of benefits: households will benefit from the measures, reducing natural gas imports improves the EU’s energy security, and electrifying heat load will provide more flexibility to the grid as renewable sources increase their share. A raft of policy innovation is taking place across the world. The UK, France, and Canada are introducing minimum energy efficiency standards for privately rented properties. Several US states are allowing property improvement loans to be collected through local property taxation. The Regional Greenhouse Gas Initiative – a carbon cap-and-trade mechanism in New England – recycles 80% of its revenues through the funding of additional greenhouse gas abatement, of which around 70% is spent on energy efficiency measures. Changing up – indeed, dramatically ramping up – our ambitions for energy efficiency is the one surefire way to ensure that we’re not still talking about “the economy, stupid” in 10 years’ time. There is much to agree with in this article, however, I take issue with the use of MTOE – “millions of tonnes of oil equivalent” – equivalent to what, exactly? This is a trash measurement, much loved by Oil & gas orgs such as the IEA and apparently by otherwise respectable institutions such as the EEA and, even, the Commission. MTOE is a crap measurement which disguises rather than illuminates. There are plenty of other ways of measuring energy: e.g. petajoules, terrawats (or TWh) etc. These are recognised by ISO as units within the S.I. and should be used in all circumstances. Moving back to the points by the author, the problem is money. I hear lots from various people (both here in the EU and even in the USA) that there is lots of money around. Really? Well it ain’t being spent on energy rennovation. As for where we will be in 2030 – gradualism in EU policy making still holds sway- the “pretty please” (= gradualism = lets talk nicely to the EU population – who knows they might do something) approach will not work in a timely fashion given the climate emergency that humanity faces. If the Nov 2018 Comm means what it says then there needs to be a step-change in renovation rates from circa sub-1% to 3% plus. Complicating this “problem” is the fact that using current pricing (& even incorporating discounts/learning curve effects) the “business case” for renovating a house DOES NOT ADD UP. Expressed another way, the savings over 20 years do not cover the investment needed to make the energy renovation – even if you whack the interest rate on the loan back to 1%. Not surprisingly, there are not many out there that are sufficiently public spirited to undertake such rennovation. So far I have heard zero to indicate that this problem has even been recognised. Gradualism rules OK. Oh sure the EIB loans a little bit here, a little bit there – end result? A little bit. In member states such as France, Germany, UK(?) are not renovating 500,000 households per year – they ain’t serious. They ain’t & thus they ain’t – all mouth, no trousers. Dear Martin, thanks for your comments. I agree that using a neutral metric, such as joules, would be preferable. However, the EU targets on which the article is based, are discussed in terms of mtoe by the Commission in their own communications. Given the ubiquity of the mtoe metric in discussions around the EU targets, I have to admit that I did not think about switching to joules for the purposes of this humble blog. Perhaps in future articles, I will do so! 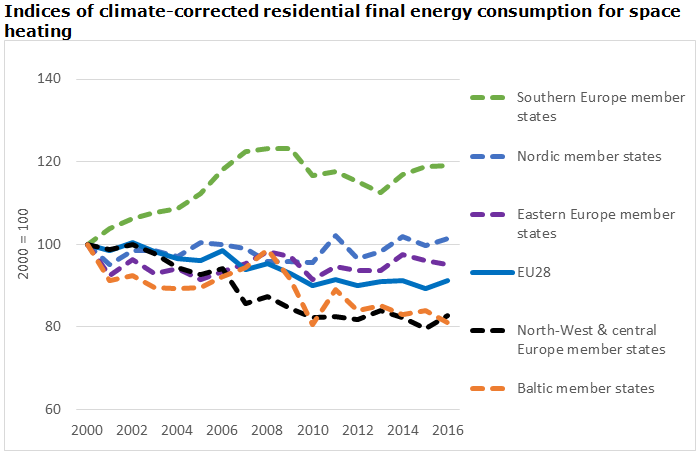 And on the need for a step change in building renovation, you are right to point out that current policies across Europe are not providing a sufficient boost to the rate of renovation. Clearly signalled long-term ambition, backed up by a combination of regulatory, fiscal and enforcement measures is needed to address the issue. Yes, some of the measures needed are not cheap and only pay back over the long term, but avoiding building renovation on that ground only postpones the problem, by when the costs of inaction will have risen and the need to act quickly may well lead to more costly upheaval. Treating this issue as an infrastructure investment problem and upping the rate of renovation now will enable a more orderly cycle through the building stock. Thanks for the kind reply Samuel (btw – it’s Mike not Martin). I guess my key point is that gradualism will not “cut the mustard” but that is all I see at the moment. Once you buy into (which I do) that we are facing a climate emergency – the current approach becomes even less “sustainable”. This is patently false. There are numerous studies (KPMG, Ecofys, Frontier Economics, E4Tech, Policy Exchange, Poyry etc) and I invite you to read any one of them: they categorically state the exact opposite of what this guy says. Its very simple. The heating load is huge – it is met every year, and it is met with gas via gas pipelines. It would be absolutely impossible to meet this demand via electricity – because the amount required would mean building all the extra transmission and gas turbines etc. And that is if everyone were forced to change from gas to electricity. Absolute garbage. 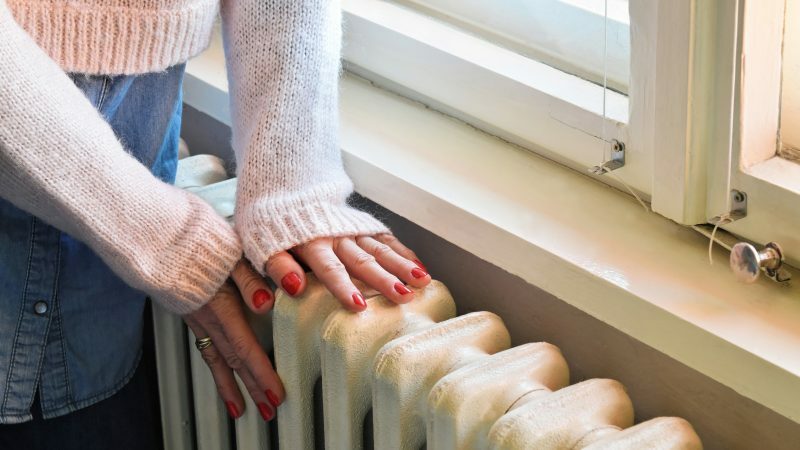 It would be great if people could be offered a small sum in order to dramatically reduce their annual heating bill. However, this almost implies that nobody has the intelligence to think of this themselves. If it were simple people would do it straight away. In fact, a lot is made in this article about how things are going to be in 2030. And lets be honest – building efficiency is an element of policy that a lot of people place a lot of hope in. But lets look at what effect the European Performance of Building Directive (EPBD) has had so far. Basically; the EPBD started out in 2002. Back then, the percentage of energy consumed by buildings in the EU was 40%. It is still 40%. And my guess is that not a lot is going to change at all by 2030. The reality is that in 16 years there is no clear idea of what the EPBD is – not even at a building codes level – and there is no clear method of assessing the effect of the money so far allotted. I have researched this; and am almost amused by the idea that we are going to see an 80% reduction in building energy needs (incl. the existing building stock) simply by using more insulation and adding solar panels. It is not going to happen; I do not even know of any building that does not rely on an external power source, or the gas network. Its a complete sham; its fake – and property owners and the construction industry are keen to get on the bandwagon. If you need proof of this; why not check out the BUILD UP Portal. Now, obviously, its good to help homeowners out. And obviously some grants and funding might be available to reduce emissions. But really in terms of reducing the overall emissions of buildings in light of the crisis facing the planet; this really does look like throwing a lot of money at people who are rich and seeing if it sticks. I just don’t think we are going to reach ‘nearly-zero emission buildings’ in the ways they wish us to believe. It is daft. The huge amount of emissions that building energy represents – from appliances to hot water to space heating – needs to tackled collectively; and that means decarbonising gas. It means we should stop entertaining fanciful notions about the amazing effect of insulation. We need to get serious about the decarbonisation agenda. The best and only way we can decarbonise effectively throughout the European Union is to switch from natural gas to hydrogen. 99% of the residential gas network can remain the way it is. There is a 544 page report on what needs to occur to switch to hydrogen, and the premise is simple: hydrogen will only leak through metal if it is under high pressure. If anyone thinks they know the mechanics and details; I suggest they watch the video [northerngasnetworks .co.uk/event/h21-launches-national/], read the key findings or delve into the report itself as this should allay any remaining fears about what is possible for a gas network using hydrogen. There is no point even contemplating that houses in cities are somehow going to generate all the energy they use themselves. It is a vast amount of energy with a lot of complexity – not least the need for seasonal storage. This is not going to be achievable at any point – people will still use energy in their homes. We need to switch to hydrogen and we need to start thinking about how this is going to occur – rather than imagining that building insulation & refurbishment is somehow going to reduce the amount of energy used in all European buildings by 80%. Somebody needs to be serious about what they think renovating buildings can achieve, and what the genuine answers are. Further helping those who already own their own home does not seem very egalitarian. We need to decarbonise gas; and try to reach consensus as to this vital issue. In this way, I think we should listen to people like James Watson (new Eurogas chief) – we need binding targets for renewable gas and hydrogen; just like electricity. Good post – mostly agree. One qualifier – given the lower calorific value of H2 – you probably still need a good energy renno programme so that H2 volumes are not too high in the LP network. However, at the moment – & ideed for the last 2 decades +/- energy renno is like motherhood & apple pie – everybody supports it & does bugger all to implement it.